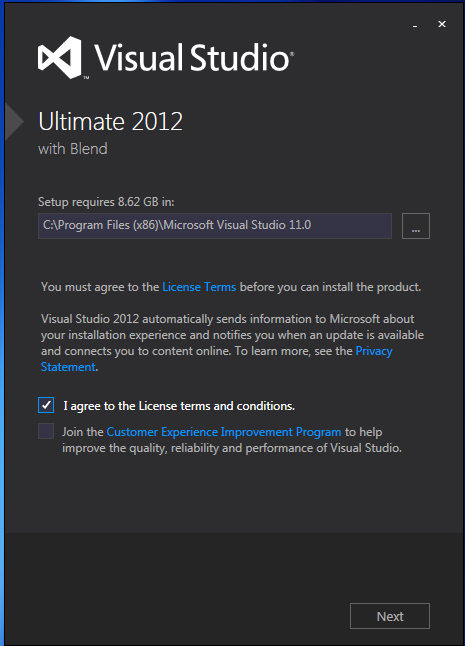 In this post we will check Visual Studio 2012 installation steps. 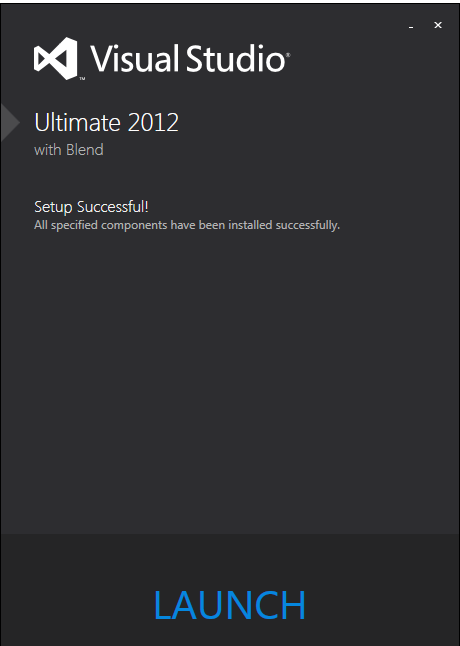 Once you download Visual Studio 2012 double click on the setup (exe) file. 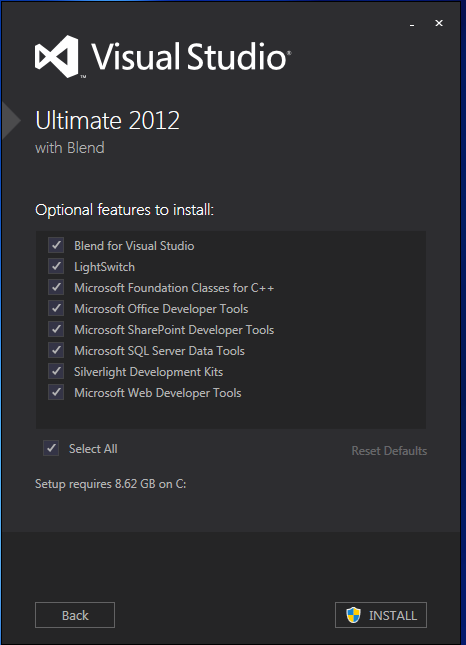 Visual Studio 2012 will required around 9GB hard disk space. In the first step, chose the path and also check the terms and conditions checkbox and click on Next as shown in the figure below. Select if you want to install some of the optional features if you want to install as shown in the figure below and then click INSTALL. Then it will ask you to restart the machine as shown in the figure below. 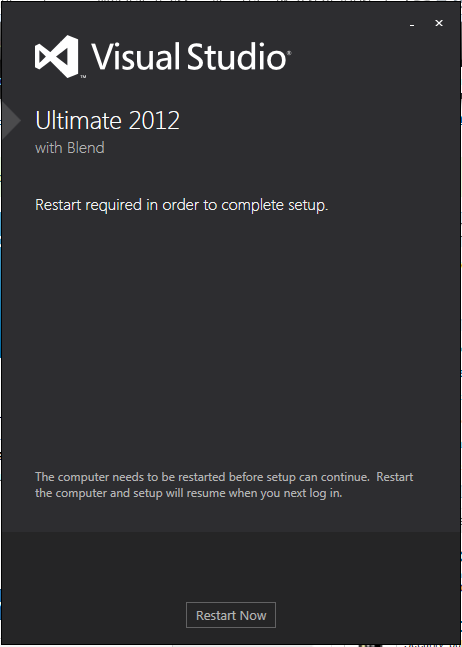 After restart, the installation will automatically resume. After restart the installation will resume and give a successful message like in the figure below. 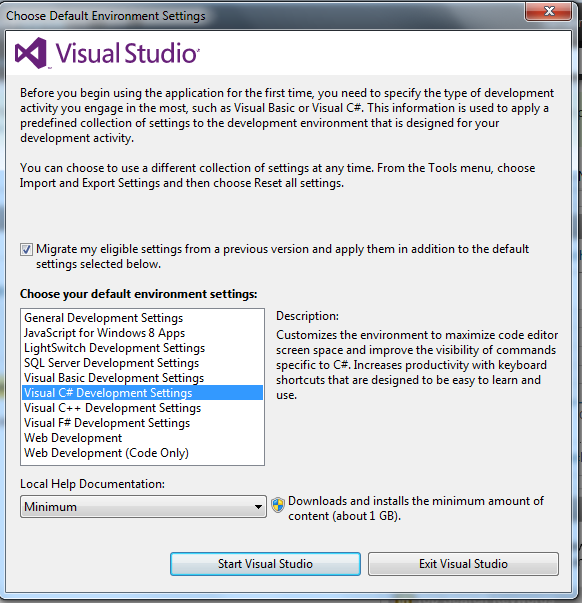 Click on LAUNCH if you want to launch Visual Studio 2012. Then it will ask you to choose the default environment settings as shown in the figure below, here I have choosed Visual C# Development Settings. Then click on Start Visual Studio. 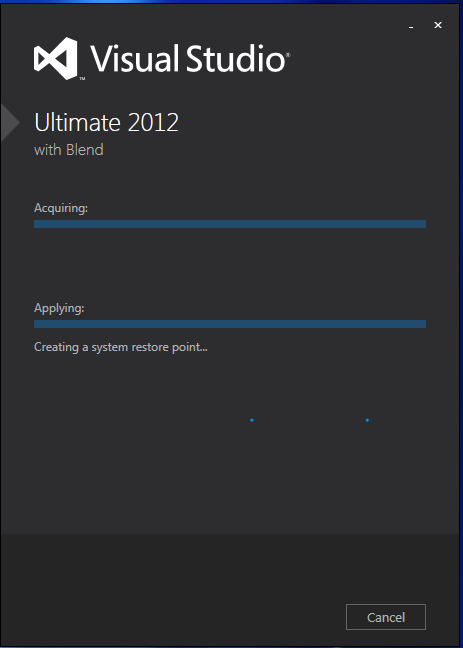 The new UI is different from Visual Studio 2010.